The season of love is here! Whether you are going to propose to her for the first time or planning to propose to her all over again to rekindle the romance, a perfect setting with a beautiful backdrop that fills the air with love is a must. How about gifting her a beautiful holiday experience this Valentine’s Day? These are the most romantic places in the world where you can whisk her away to sweep her off her feet! Take in the view of the epitome of love – the Eiffel Tower – together to see that twinkle in her eyes! • Take a walk down the streets of Saint-Germain-des-PrésDiscover and discover the best chocolate shops and patisseries in Paris. • Paris is a city of gardens; so get lost in the open spaces to break away from the streets of the city. Romancing by the deep blue waters of Aegean Sea in Santorini – the island of romance – is the most romantic thing ever! • Take a walk down to the Red Beach and look over to the horizon. Your jaw is most likely to drop here! • Soak in the local vibe of the less crowded Imerovigli, a perfect sunset viewing destination for couples. 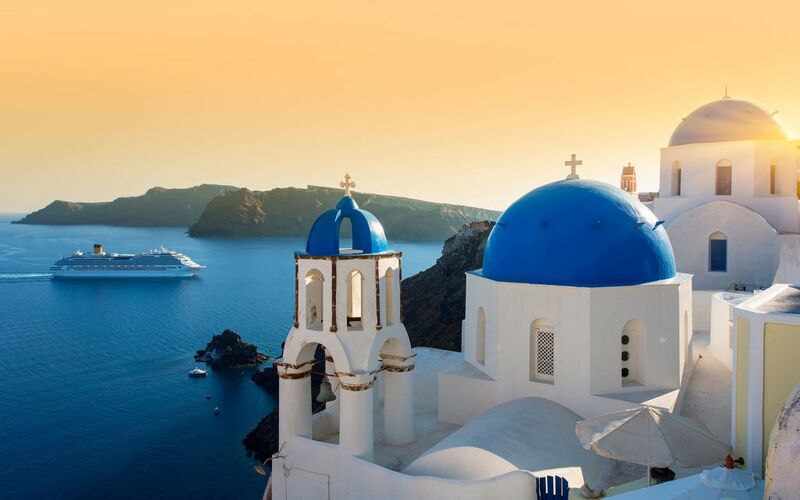 • Go for an evening cruise around Santorini’s dramatic coastline to explore unspoilt covers, the hot springs where sulphur from volcano heats the water and indulge in a seductions meal on board as the sun slips into the Aegean Sea. 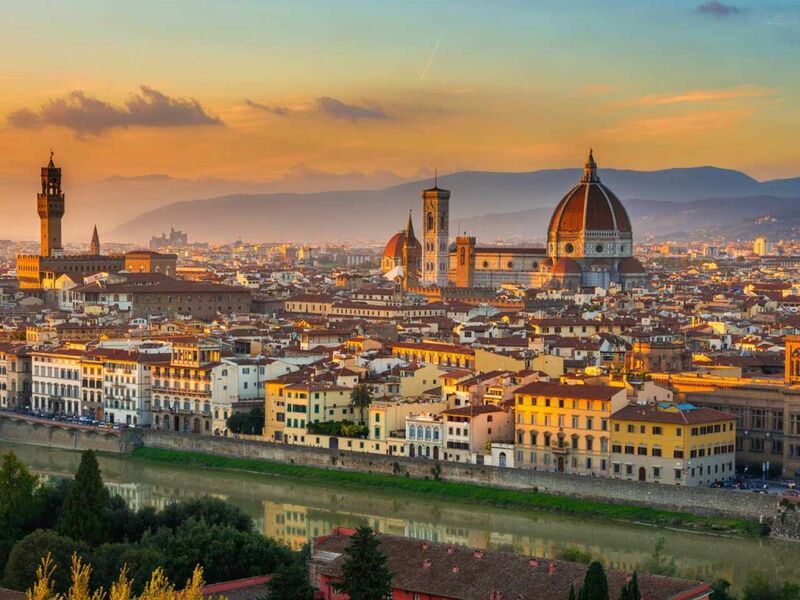 The timeless beauty of Florence makes it an absorbing city. Your romance finds no bound here. • Take a romantic stroll along the Arno River. Stand on the Arno Bridge several times a day to see light and mood changing every time. • Embark on a wine tour and indulge in some wine tasting. • Take a walk at the Boboli Gardens, a part of the Pitti Palace. • Indulge in a cosy dinner at the Side Street. Enjoy a glass of Prosecco and dive into a delicious homemade lasagne. • Give yourself over to the world-class art of Florence. Marvel together at great works of art like Michalengelo’s Davi at the Accademia or Botticelli’s Venus Rising. There is something special in the air of Switzerland. The chilly winds set the mood and make everything mushy. • Meander along the cobblestone streets of Old Town to pop into old-world stores for souvenirs or indulge in a delightful treat at one of the tempting bakeries. • Embark on a river cruise down the world-famous Rhine to spot castles and romantic Swiss meadow pasture along the way. Spoil her with luxury in the extravagant palaces of Udaipur – the land of Kings and Heritage. 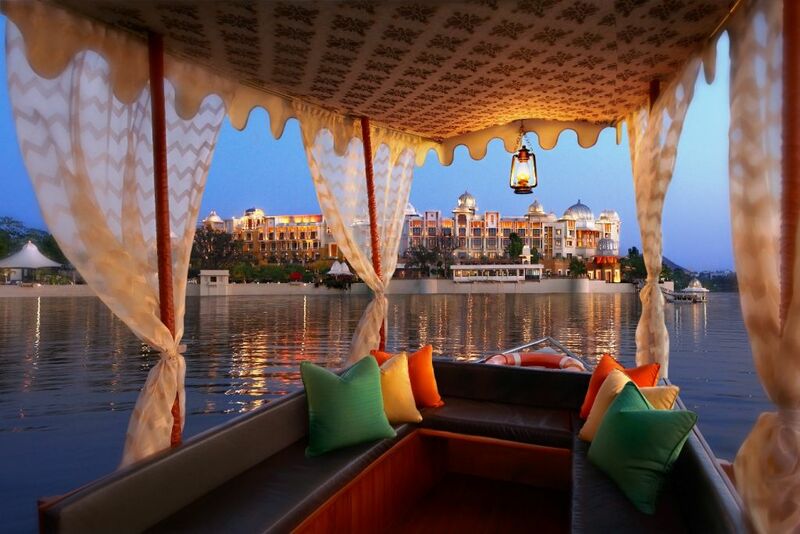 • Stay in one of the palace hotels of Udaipur to indulge in the ultimate luxury experience. • Go on a romantic boat ride in the beautiful Lake Pichola. • Start one of your days with a blissful walk along the Ambrai Ghat. Hold hands while you discover the impressive royal structures of Udaipur. • Take a romantic bike tour to explore the hidden treasures of the city. • Go for a couple spa to sooth your mind, body, and soul. • Take a walk in the garden of heaven among the lush greenery, gurgling streams, lotus pools and beautiful fountains. Hear ‘The Sound of Music” and run wild and carefree among the alpine pastures of Salzburg. • Take a walk along Baroque churches, cobbled squares, and winding alleyways that are waiting for love to blossom. • Listen to Mozart’s Così fan tutte. Salzburg resounds to the strains of his music every evening. 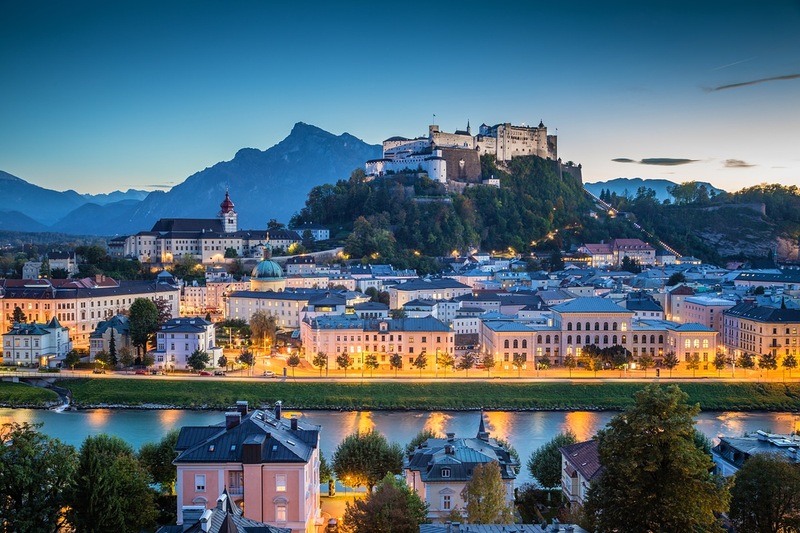 • Stand at the Salzach River holding hands and let your gaze fall upon the graceful domes, formidable cliff top fortress, spires and mountains in the backdrop. When the tangerine sun rays fall upon the beautiful Tuscan hills, it is sure to evoke your romantic and passionate side. • Book a castle tour and take in the breathtaking views of the countryside from its balcony. • Watch the sun sinking down into the sea at one of the many beautiful beaches. • Take a sensual dip in one of the natural hot springs in the city. 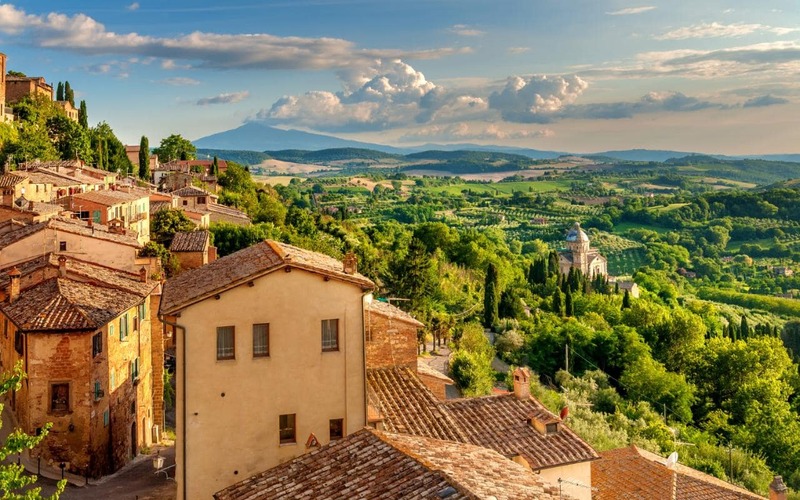 • Go on a dreamy drive along the Chianti Hills and vineyards. Let your romantic spirits soar high in the honeymooners’ heaven – Seychelles. Let your feet sink in the talcum powder beaches lapped with topaz water. • Take a drive from Banyan Tree Seychelles to Victoria City and enjoy winding through a picture-perfect town. • Stay on a private island resort where you can explore the pristine wilderness in privacy far away from maddening crowds. • Explore the beauty of Indian Ocean on a private yacht. • Go for a full-moon massage at any of the many amazing spa resorts of Seychelles. • Dine under the open sky on a beach. Propose to her all over again on the deck of a floating villa in Bora Bora Island, and we vouch that she won’t stop gushing over you. 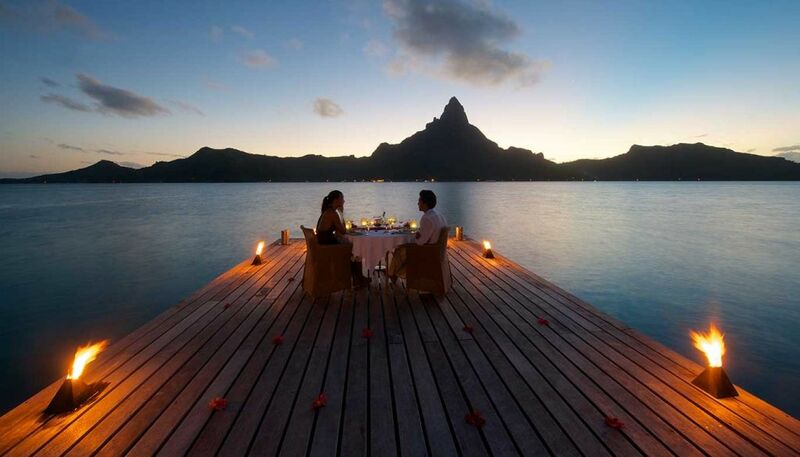 • Indulge in a seduction meal on the private deck of an overwater bungalow. • Float over the crystal clear waters of Bora Bora with paddle boarding. • Pamper yourself with a romantic spa treatment and flower petal bath. • Enjoy a sunset catamaran cruise, kayaking, parasailing and other water-centric activities. I was in Switzerland 2 weeks ago, it was breathtaking! I have some posts already up. If I had to choose now, I would go with the Seychelles or Bora Bora. I have never been to a tropical place and I would like to feel the feeling of it!